Patchy Work of Mini Grey: A Rainbow Whirlygig. 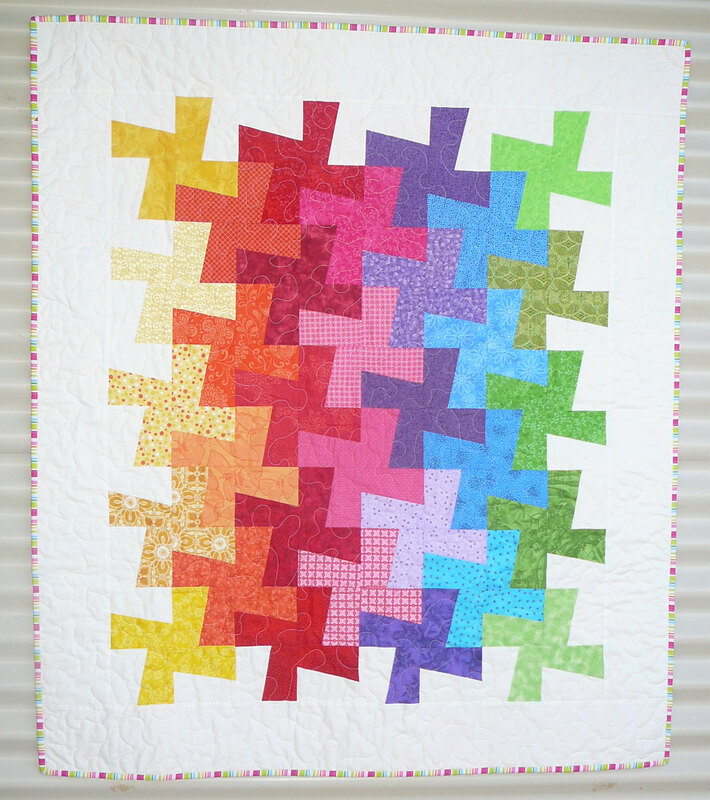 I took a break yesterday for all that pebbling and took 30 minutes to finish the little bit of binding left to sew down and wolah, this quilt was finished. I've said it before, but I'll say it agian, I love the Whirlygig block! I used some Prints Charming fabric for the backing and the binding was a stripe print from Micheal Miller. 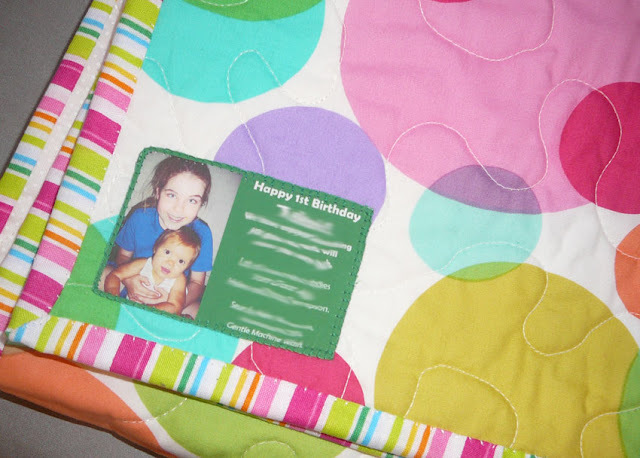 Thats Grace on the label holding the child the quilt is for. That's lovely. Are you going to do a quilting year in review? I love looking at that each year. Oh, and I LOVED the most recent Christmas table runners too. You are so very clever. It's gorgeous! So colourful and happy. I love it.